Located on the western shore of Hudson Bay and not accessible by road lies the small northern seaport of Churchill, Manitoba. Traveling on a Tundra Buggy is the most comfortable and safe way to experience a polar bear tour in the bears natural environment. Plan to go to Churchill during October or November when the bears are slowly congregating along the coast, anticipating the winter freeze-up of Hudson Bay. When the Bay freezes, the polar bears can get onto the ice to hunt their favourite meal, ringed seal. With over 25 years of successful subarctic experience, The Tundra Buggy Adventure is the best way to view and photograph the polar bears of Churchill, Manitoba. Choose from either a Churchill Hotel- or Tundra Buggy Lodge-based stay. 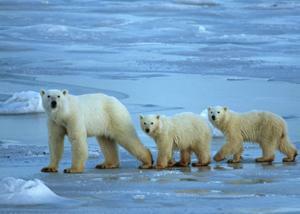 Providing exclusive access to the polar bears at Cape Churchill inside Wapusk National Park. Fulfill your expectations of snow, ice and polar bears. fashion circle pendulum design, through the length of the zipper can be full of your face and neck warm, dark gray, very wild. Yongjia road. YY is very beautiful, very unique, and the price also very fair. Thanks for taking the time to discuss and share this with us, I for one feel strongly about it and really enjoyed learning more about this topic.